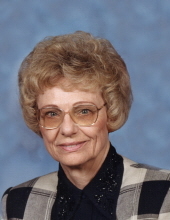 Betty A. McCabe, age 80, passed away Friday, February 1, 2019, at Nye Legacy Nursing Home. Betty A McCabe was born at home in Scribner, NE on January 16, 1939, to Reinhold and Eleonore (Toelle) Wegner. She graduated from Scribner High School in 1956. She worked at the Farmers Coop from 1956 to 1959, then moved on to the Fremont Tribune to answer phones for 1 year. She worked at the Mead Conveyor Missile Base from 1960 to 1962. She married Douglas McCabe on April 5, 1959 at Trinity Church in rural Scribner. Betty started working for Blacktop, Inc. in Fremont who was bought out by Peter Kiewit & Sons. She started driving back and forth to Kiewit in Omaha in 1973 and retired in April of 2002 after 29 years. Betty and Douglas had one daughter, Andrea (David) Millet and one granddaughter, Madison. And actually enjoyed two grand-dogs. Memorial Services will be held at 10:30 AM on Wednesday, February 6, 2019, at Dugan Funeral Chapel. To send flowers or a remembrance gift to the family of Betty A. McCabe, please visit our Tribute Store. "Email Address" would like to share the life celebration of Betty A. McCabe. Click on the "link" to go to share a favorite memory or leave a condolence message for the family.